Print Advertising Worth Paying For. 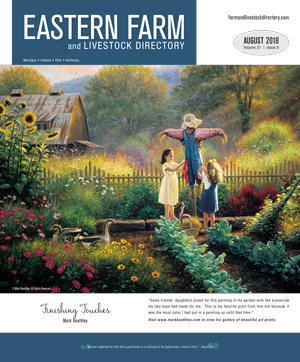 The Farm And Livestock Directory is a magazine for mid- to large-scale crop and livestock producers. 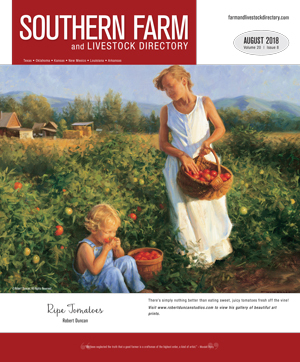 The editorial focuses on a variety of relevant topics, from new equipment introductions and emerging technology to social issues important to farmers. “Wanted to let you know that as a new advertiser we have been very pleased with the response. 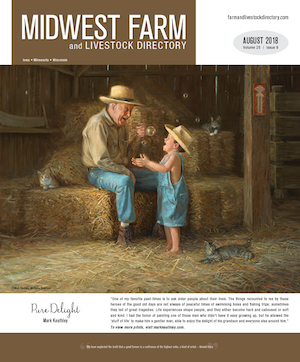 Online sales have increased, and they are coming from areas covered by the Farm And Livestock Directory. We have tried different print publications this last year and like the response we get from your magazine. Honest publishers are transparent in any figures or numbers they quote you, regardless if it is circulation or readership. It’s important for you to know all publishers get a receipt from the post office when they mail magazines. It is an official government form: USPS Bulk Mail Postal Receipt Form 3602-R.
“Pay only with proof of mailing” is our mantra here, and we include documentation in your billing. It is also available for download on the front covers of our digital versions of the magazines. Our database contains a total of over 253,000 individual, highly qualified potential buyers. A large portion of this list is compiled from UCC filings of active equipment buyers, so you will reach your target audience. Don’t pay for coverage you don’t need. We offer several regional options, giving you flexibility in the coverage area that benefits your product. You can personalize your ad to suit different regions and the type of industry within that particular area. We offer a wide range of ad sizes and prices to suit your budget. We are very competitively priced and can provide you actual cost per piece based on actual mailed circulation numbers. “I am always on the lookout for value in our advertising dollar. The one stand-out in our advertising is Five Star Publishing magazines. I can always tell when the magazines have been mailed because of the increase in call volume. We can help you tailor a plan that meets your goals. We take pride in working with our advertisers to put together the best plan to benefit their products and needs. We publish each edition of our print magazine in the read online section of our companion web site. You’ll have a direct link to your web site, giving you additional digital coverage for a minimum of one year.